Thermal Anti-age Face Mud. Oat Flour and Honey. Anti-age Herbal Tea. Home » Trattamenti » Annual Fresh Treatments » Thermal Anti-age Face Mud. Oat Flour and Honey. Anti-age Herbal Tea. Oat flour is rich in vitamins, phosphorus, magnesium, essential amino acids and polyunsaturates, which are necessary for the health and beauty of the skin. 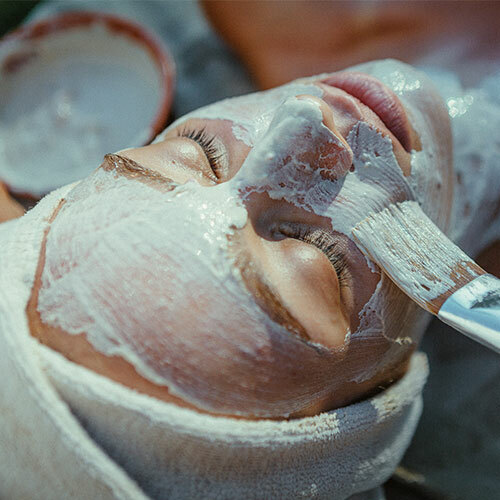 Intriguing for its aphrodisiac qualities, together with mud and our thermal water it creates a face mask that is deeply nourishing, reinvigorating and energizing for the skin. For skin that is marked by fatigue, as well as delicate and sensitive.